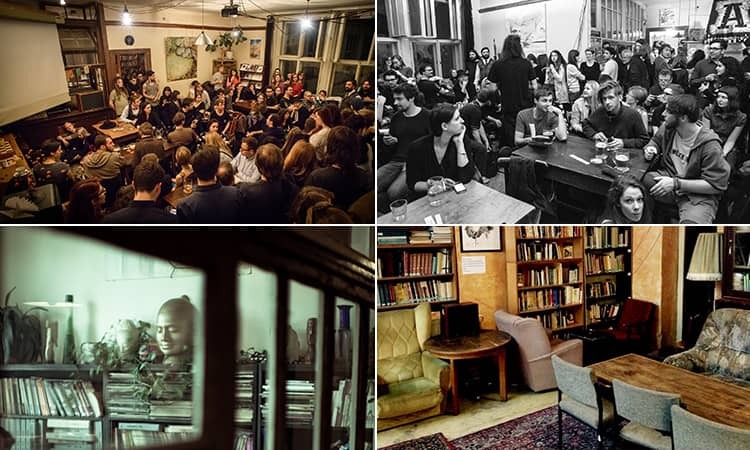 Prague is a treasure trove of hidden bars, DIY-style venues and a shrine to John Lennon…? The capital city is a popular stag and hen do destination, famous for a nightlife that is as legendary as it is cheap, but it’s still got a few secrets to keep you guessing. And, we are going to share them with the world. Not your local, but a whole new experience. The Pub is a self-service bar (not unlike the tills at Tesco) in the centre of Prague. It’s a no frills kind of venue, dedicated to Pilsner, competition and grub – advisable for when you hear what’s to come… Once you are sat at your table, you’ll log in and keep check of how much beer you are pouring and subsequently drinking. These stats are then displayed on a giant board in the achingly cool venue, along with every other table in the bar, and you’ve got to drink up to pip them to the post. 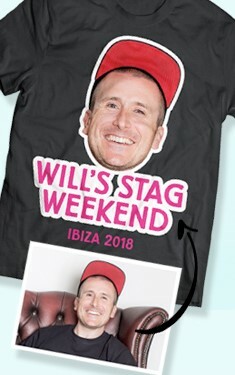 If there’s one thing us Brits are good at, it’s drinking… And, you are on your stag or hen party. The Pub also has an upstairs bar for the non-smokers, and a terrace to soak up the views and get some fresh air. Duplex is a giant glass cube, looking over Prague and keeping it in Czech. Whilst its whereabouts may not be a secret, it’s a little harder to pass the velvet rope than you might think. Duplex is Prague’s most exclusive bar, and recipient of many prestigious awards – including membership to The World’s Finest Clubs website. The extensive DJ portfolio is endless, featuring huge, international stars, and the crowd features the likes of Mick Jagger, who celebrated his 60th birthday at the venue. They’ve got dancers, Pilsner on tap and a gorgeous terrace to enjoy the balmy Prague night on your stag or hen weekend. Dedicated to keeping the memory of Ernest Hemingway, a beloved patron of bars with a legacy of cocktail drinks in his wake, alive - this is a walk on Prague’s sophisticated side. 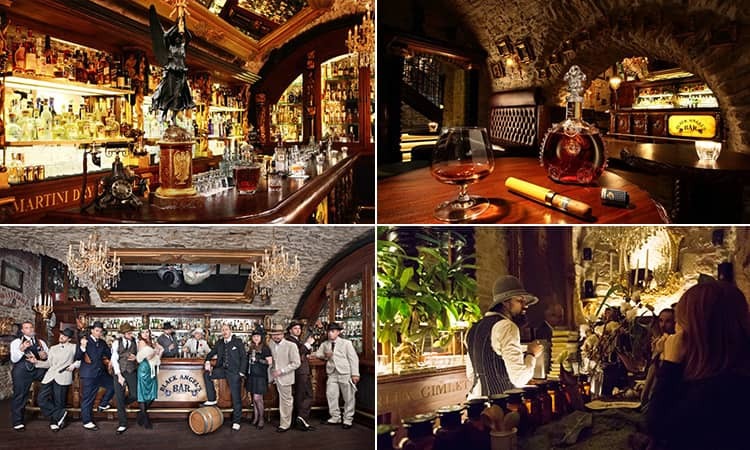 This swanky/speakeasy/American-style cocktail bar is a generous glimpse into the author’s era and hobbies. It’s brimming with leather armchairs and dark wood furniture, but its real pièce de résistance is absinthe. The bar, well hidden from the beaten track, is renowned for its exciting menu, featuring the ever-so-mysterious Green Fairy. Absinthe has first place in a long list of drinks – drinks that may cause more harm than good on your stag or hen weekend… - and you can toast to the old guy at one of his many portraits lining the walls, before passing out. Black Angels is another prohibition era-style bar. Tucked away on the second lower level of the Hotel U Prince, you don’t just stumble upon this bar. 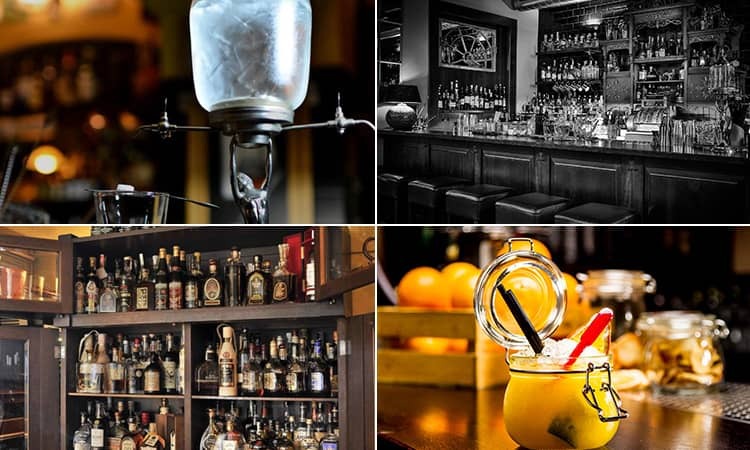 The venue, with a huge statue of a black angel perched atop the bar, boasts a range of drinks, inspired by America’s golden age – the Manhattan, the Sazerac and the Sidecar all feature on the enviable menu. The bar has even dipped into the trends of today with a Tiki line of cocktails – a fruity hair of the dog may be just what you need… There’s even a cigar menu if you truly want to embody the dazzling 20s (or see yourself as a Hugh Hefner kind of guy). 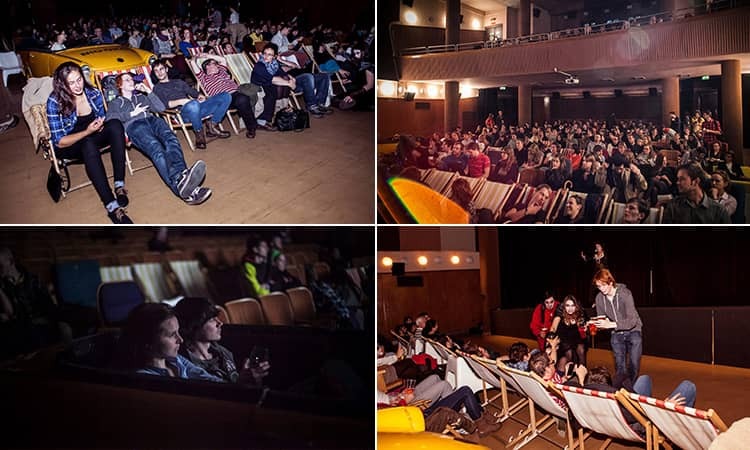 Unijazz is a charming combination of library, games room, live music venue and exhibition room. 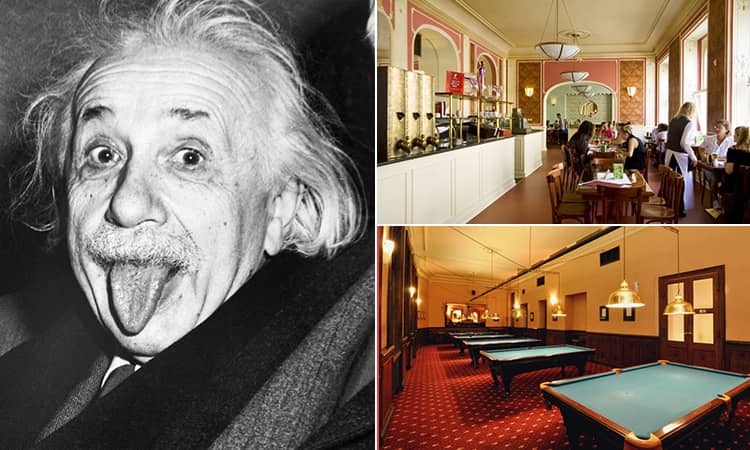 It has even been known to host huge events, and chess tournaments… It’s a secret den for the young crowd of Prague, with a bar to keep you hydrated throughout the excitement. Formerly a milk institute, the venue is hidden in an unassuming passage. All you’ve got to do is find the right door, ring the bell and head to the top floor. It boasts a relaxed bohemian vibe - a vibe that you will welcome with open arms the morning after, on your stag or hen weekend. 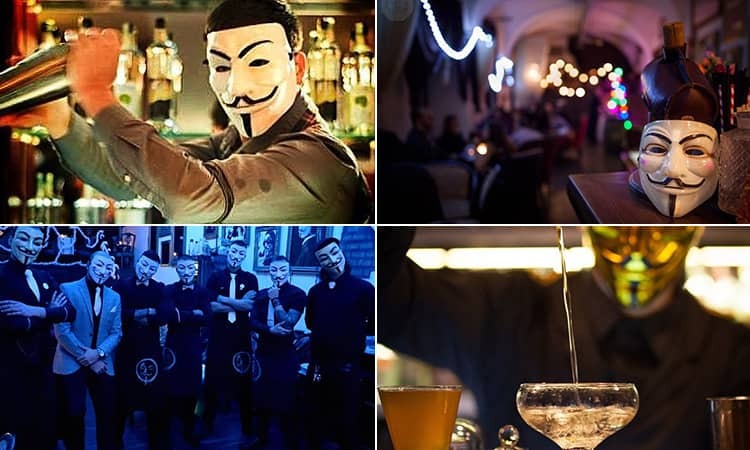 Prague is a different kind of capital, and this bar wholly embraces weird. This DIY bar is mish-mash and eclectic – a space created for art and music. 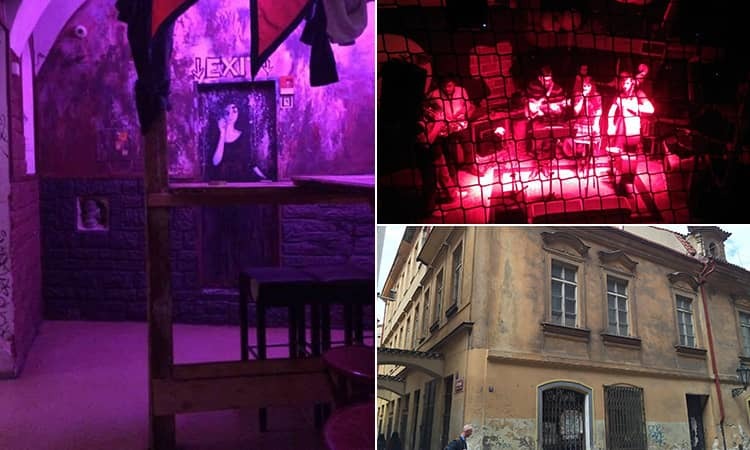 It’s Prague’s most alternative venue for drinking and dancing, a house-party style bar that is decorated with old chairs, sofas, a wood-burning stove (perhaps unwise), two pianos and stereo equipment. All of this is easily movable for one of the many impromptu gig nights. It’s a space for everyone, and the entire bar/home can change on any given night. 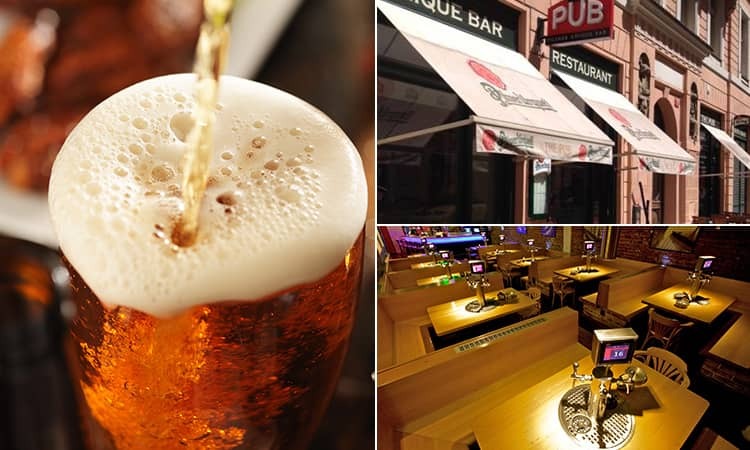 They also serve Czech Pilsner, sausage and cheese… to maintain that cool pub atmosphere. 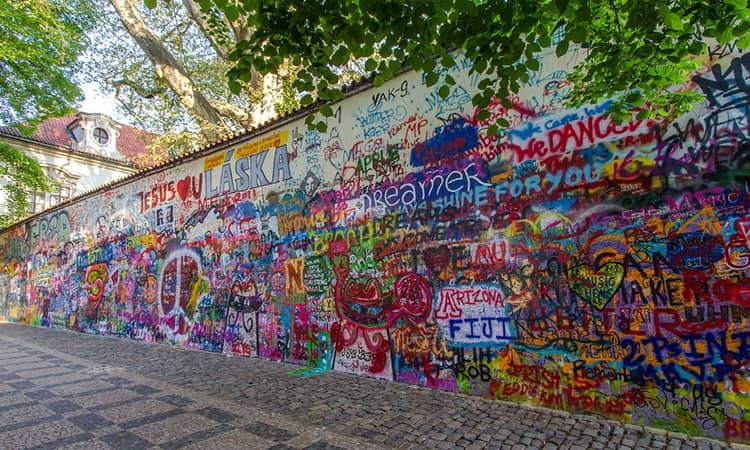 The Lennon Wall is a point of contention in Prague, but it’s one of the city’s biggest icons. Despite never having visited the stag and hen paradise, John has been immortalised forever in brick. Seen as a pacifist hero for many young Czechs, an image of Lennon was painted onto the wall, alongside political graffiti and Beatles lyrics. It’s been a long and winding road for the council, who have attempted to whitewash the walls several times, but the paint just keeps on coming. You know what they say… all you need is love. 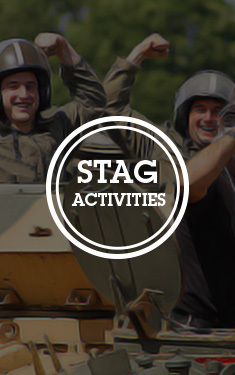 Now you know the secrets of Prague, get to grips with our activity and accommodation options on the Prague stag weekends and hen weekends page.